With acceleration of urbanization and infrastructure construction, three key plastic building materials, such as plastic profiles, pipes and panels are entering a period of steady growth in China. 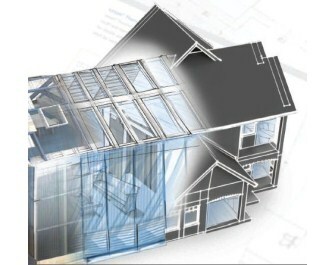 Other new plastics building materials, such as plastic windows/doors, high-molecular waterproof materials, thermal insulating materials, solar diaphragm, plastic reinforced tile, wall support parts and building heating plastic pipes, have a full range of green building features from light weight, low energy consumption in production and application to outstanding thermal and electric resistance to speed up the revolution of green buildings. Being Asia’s No.1 and world’s No.2 plastics and rubber exhibition, the 27th International Exhibition on Plastics and Rubber Industries (CHINAPLAS 2013) has always been concerned about the sustainable development and innovative application of the plastics and rubber.Every year the organizer, Adsale Exhibition Services Ltd, will organize creative concurrent activities to arouse the concern of participants about the importance of continued development in a particular aspect. This year, the theme focuses on novel and environmentally-friendly plastic construction materials which are aesthetically pleasing and practical. The concurrent event is named as “Archi-Light”. The event of “Archi-Light” consists of three parts. Part one is the “Archi-Light Concept House”, a future building erected at exhibition site to enable visitors to experience the light transmittance and environmental protection features of plastic building materials. “Archi-Light Concept House” is exclusively sponsored by Saudi Basic Industries Corporation (SABIC). The organizer will make use of SABIC’s construction materials with outstanding light transmittance feature to set up an energy-saving futuristic home with high light transmittance. Also, they integrate some other environment-friendly elements to meet the standard for low carbon emission buildings. As said, this is the first time that SABIC participates such a large scale plastics building materials promotion event in Asia, which is different from its past participation format in CHINAPLAS. The company wishes to leverage this unique concurrent event to exhibit the advantages of their new product to visitors and enable this new material to leave a deep impression on industrial players concerning their advantages. SABIC wishes to witness a finished product of “Archi-Light Concept House” at the exhibition. The second part of “Archi-Light” is “Plastic Building Materials Gallery”. Adsale invited Italcementi Group to sponsor its innovative product – i.light – which is a type of transparent cement to build a wall of high light transmittance using plastic resin mixed with cement and it will be shown at the exhibition. Italcementi Group aims to leverage concurrent event to enable more industry players to identify the advantages of their products. Different from conventional cement, transparent cement i.light is a mixture of special resin and innovative mortar. For buildings using this cement, their entire wall is like a large window and sunlight can go indoors through walls. In this way, it can minimize the use of indoor lighting and thus save energy. This product was exhibited in Italian Hall during World Expo 2010 Shanghai. Another sponsor for the “Plastic Building Materials Gallery” is China LESSO. It will exhibit a full range of new-type floor heating systems. Typical floor heating equipment, such as heat sinks, stoves and heat pump heating systems, feature low heating efficiency, high maintenance costs, and occupy precious wall space. New-type floor heating system occupies no wall space, and in addition, it features less heat loss in the transmission process, reduces energy consumption and features higher heating supply reliability. Besides, “Plastic Building Materials Gallery” also clusters various types of energy-saving, environment-friendly, innovative plastic building materials to promote low-carbon building. The third important event of “Archi-Light” during CHINAPLAS 2013 is Future Building Design Competition. It is supported by Tongji University and the Guangdong Industry Technical College as co-operating institutes. Students from these two colleges have submitted designs for this competition. Through initial review, the Judging Panel concluded the participating students are attentive in research, acute in market insight and flexible in conception. They even exclaimed that the new conception of the next generation is highly recommendable. CHINAPLAS 2013 will be staged from May 20-23 at China Import Export Fair Complex, Pazhou, Guangzhou, China. The four-day exhibition is expected to have a record-breaking scale of 220,000sqm, with over 2,800 exhibitors from 36 countries and regions together with 14 countries/regions pavilions. All will gather under the same roof to showcase their diversified chemicals and raw materials and over 3,200 sets of machines in 11 theme zones.